Cash Fever 3D slot by IGT, formerly Gtech, is a fun new slot with excellent graphics and animations. It really stands out from the crowd with its eye-popping display and bright colours, making the whole game more engaging and fun. The theme is all about nurses and doctors, but in a very light-hearted and comical style so as not to be taken seriously. 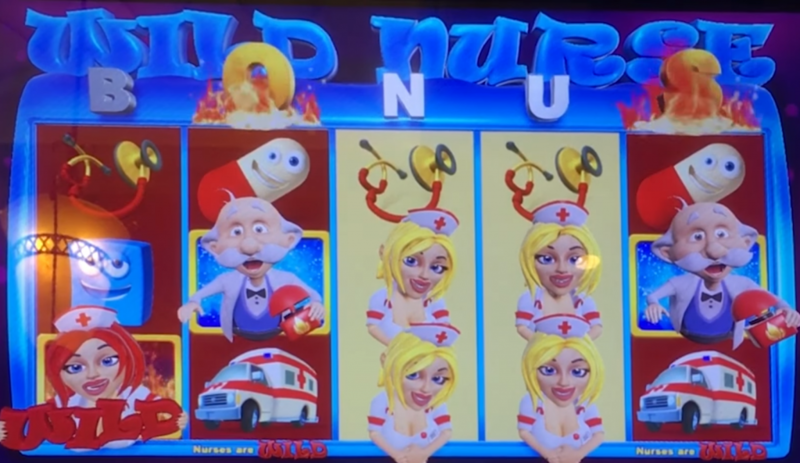 The red-haired nurse also serves as Wild in Cash Fever 3D slot, meaning she substitutes for all of the above symbols in a winning combination. Cash Fever Pick Feature. If F, E, V, E and R land on reels 1, 2, 3, 4 and 5, respectively during the main game and the Wild Nurse Free Games Bonus then this feature is triggered. Pick one of the 5 letters to reveal either a credit win of 100 to 250 credits or entry to Cash Fever Bonus Games. Wild also appears in this bonus. You will be awarded 5 to 15 Cash Fever Bonus Free Games, with a special pay table where collecting Fahrenheit will heat up the thermometer. 50 degrees awards the Minor Progressive, 250 awards the Major, 500 awards the Grand and 1100 awards the Royal progressive, cancelling any remaining Cash Fever Free Games. If you’re unfortunate enough to not reach even 50 degrees, Miss Fever will show up and boost the thermometer so you are always guaranteed the Minor progressive jackpot. Wild Nurse. You’ll notice that on top of each reel sits a letter forming the word BONUS. If the Doctor lands on a reel during the main game, the corresponding letter will become active, changing to a Gold colour for the next 4 wagered spins played with the same bet option. When a letter is active, all White Nurses on that reel become Wild. The higher you bet, the taller the stacks of White Nurses. If all 5 letters are active simultaneously, the Wild Nurse Free Games Bonus is triggered. Note that Wild does not substitute for the Doctor on that reel. Wild Nurse Free Games Bonus. This will award 15 Wild Nurse Free Games, with all White Nurses on the screen becoming Wild. Unfortunately, this can’t be retriggered and the paytable is the same as the base game. At the end of the bonus, all reels become inactive for the next wagered game. Bandage Bonus. When touching the Bandage on screen, the Wild is revealed and randomly distributes up to 8 Wild symbols on its surrounding positions. A Wild can be placed on V or E, acting as a Wild and a scatter symbol for the current game. Pill Spill Bonus. This can occur randomly after a non-winning spin that didn’t trigger the Wild Nurse Free Games or Cash Fever Pick Bonus. When triggered, the Pill Spill Van will stop in front of the reels, wiping away all symbols apart from Wild. The three Pill symbols will then spill out from the van and fill all empty positions. Cash Fever 3D slot is a lot of fun and will likely appeal to a wide audience. 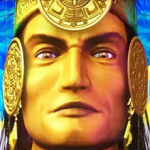 Firstly there’s the theme which is very entertaining with excellent animations and vibrant colours. When it comes to the gameplay, there are plenty of features, most focusing on Wilds and free games, that are engaging and entertaining to play, not to mention potentially rewarding especially with the progressive jackpots up for grabs. I think IGT have done an excellent job with this slot and it comes highly recommended by me. Don’t forget to check out our other slot reviews here.